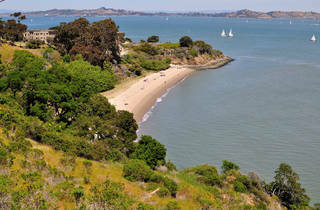 Just a short ferry ride across the bay is the warm, white sands of Quarry Beach, located on the east side of Angel Island. If it’s privacy and vistas you’re seeking, this is your top choice. 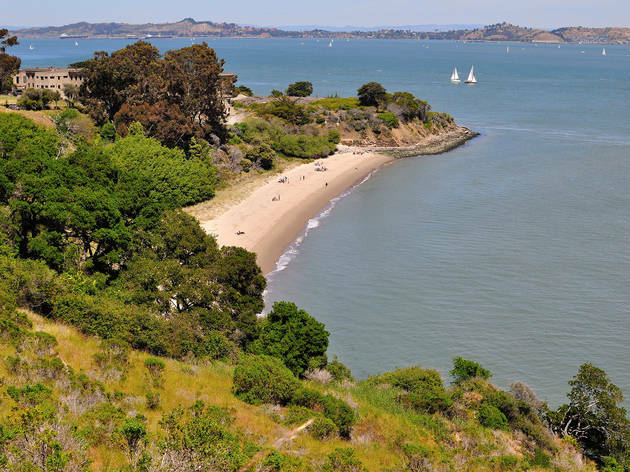 The quiet stretch affords panoramic views of the East Bay and San Francisco skyline, as well as wind-protected areas for easy sunbathing. Nearby, you’ll find dirt and paved roads for walking or cycling, as well as a picnic area and campsite just up the hill.